Running an allied health clinic, taking care of clients and keeping your records and bookkeeping up to date is a huge task. 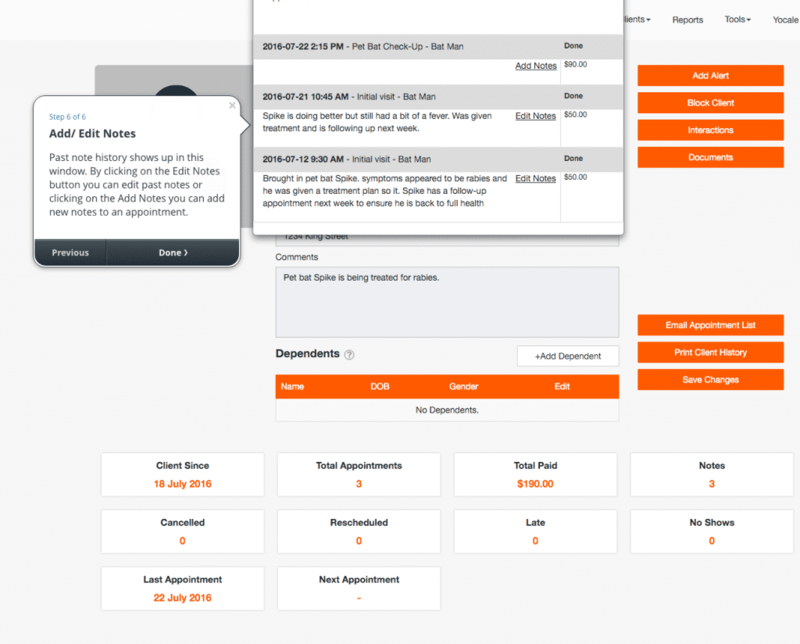 One of the smartest decisions a clinic owner can make is going paperless. Not only is this decision great for the environment, it’s a solution that will pay off in the long term in cost and security. Record management of health data is a liability that allied health practitioners take responsibility for. Finding a clinic management system that holds your client data in a secure and encrypted format reduces your risk and increases your ability to meet industry standards of data security. 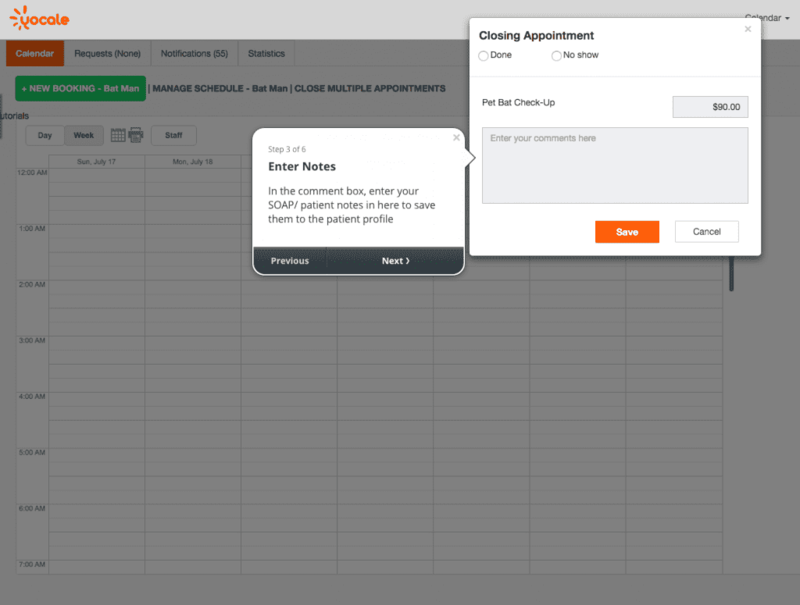 Keeping electronic treatment notes that are secure and accessible from any device, officially makes your practice ready for an insurance or tax audit at any time. It also allows you to streamline your paperwork, maintain accurate client files and even expand your career if you move into research. 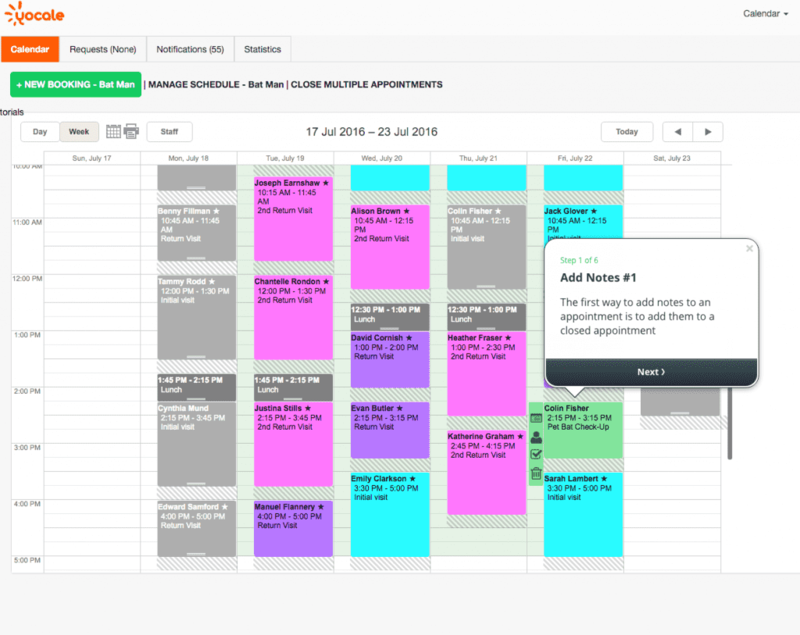 With digital intake forms, treatment notes and charts, you can sleep better at night knowing if anything happened to your office, your entire practice would be ready to open a new location almost immediately without any lost data. It also facilitates the process if you ever sell your business or transfer your client files to another practitioner. Maintaining, storing and transferring patient records when they are digital is much easier as you can quickly secure hosting for past files, and keep that location registered with your association for minimal cost. 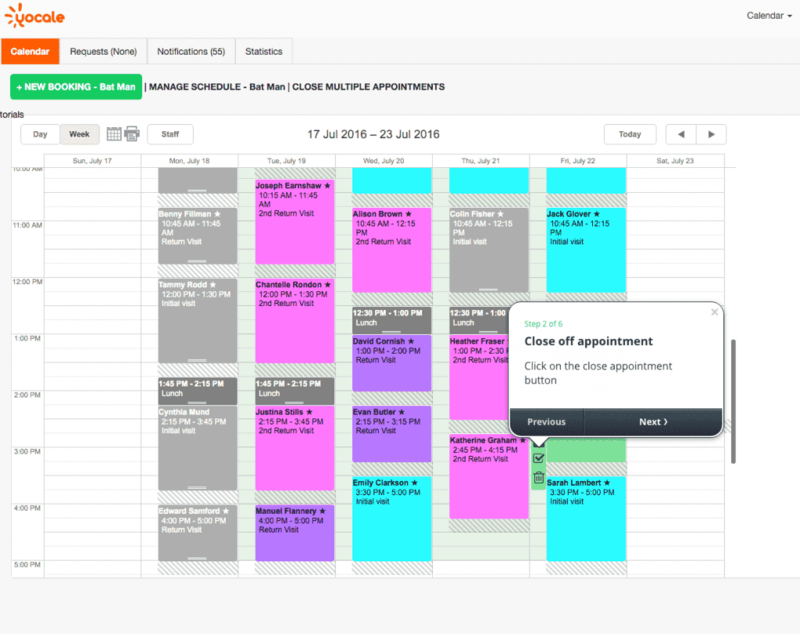 When Closing or Editing an Appointment in Yocale, Add any notes in the Comment box, or Copy & Paste your pre-formatted text file of notes. 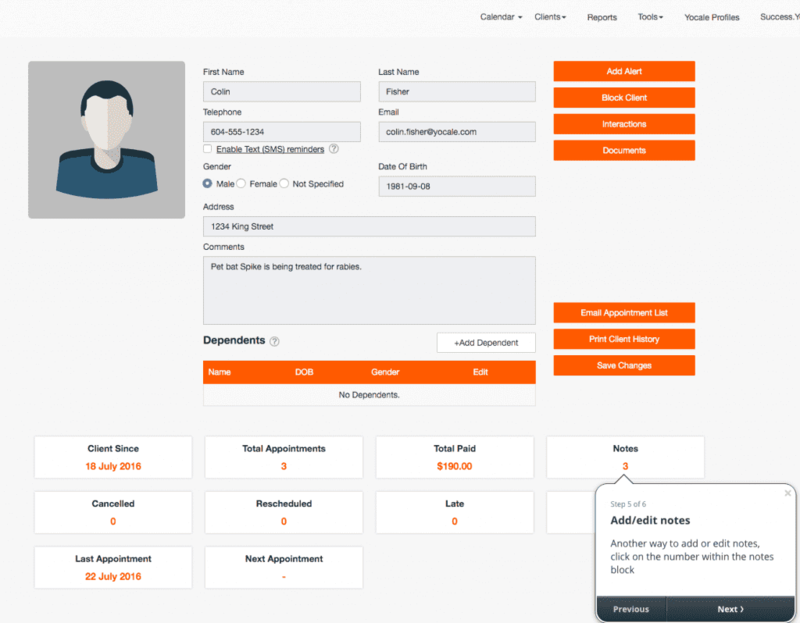 Any text added to this box, is associated with the specific appointment, and the client. To go further into your notes, click on your client file and add images, documents or additional notes. 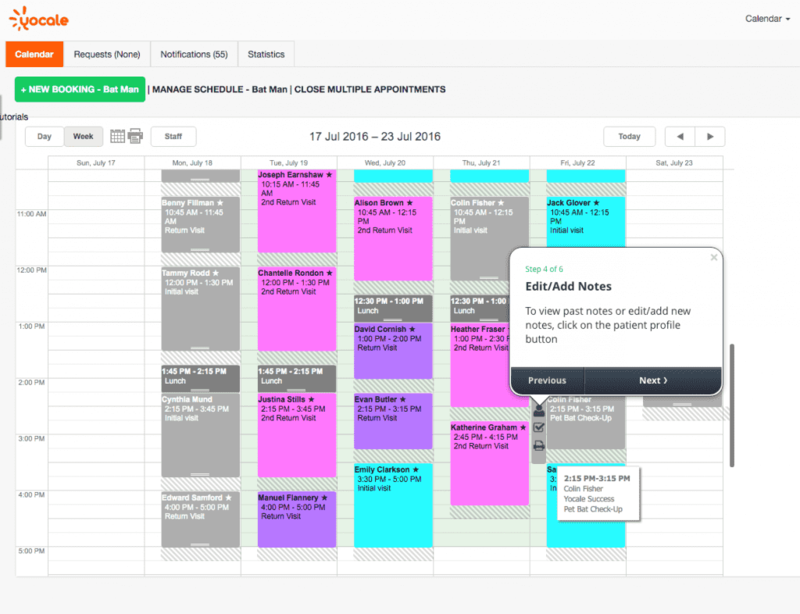 There is no limit to the amount of text you can add for each appointment. Never worry about data security. As long as your login information is secure, your patient data (treatment notes) are only accessible by you!